Our Wooden Menu Holders are available in a variety of shapes and sizes and are great for tabletop, take-out counters, near cash registers and at the hostess sign-in station. The Wall Mounted Wooden Menu Holder makes it convenient for a hostess to pick up restaurant menus when escorting guests to a table. 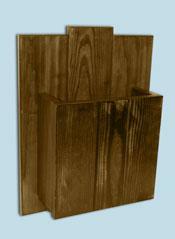 Menus get immediate attention when displayed in the Framed Menu Holder that can accommodate an 8” x 10” insert. This framed menu holder could also be used to display your specials! These restaurant smallwares keep menus neatly organized and within easy reach and are a great addition to any food service establishment. With these wooden tea boxes, it’s all about presentation! Bring this Wooden Tea Box Holder to the table to show the various flavors of tea available that customers can choose from. Wooden Tea Box Holder has three compartments and can fit many bags of tea. Beautiful and functional restaurant smallwares- these tea boxes have a nice mahogany finish. 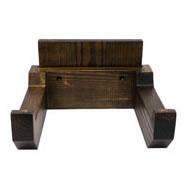 Use these restaurant smallwares to organize one, two or three tray stands with our Tray Jack Holders. These restaurant smallwares keep tray stands handy, easily accessible and off the floor. With this multiple business card holder placed near the entrance or exit area, your business cards will be ready for customers to pick up and keep handy for future trips to your establishment. Wooden business card holder has five compartments for numerous cards. This wooden multiple business card holder comes in a walnut finish. Our wooden Toothpick Holders have a stylish walnut finish. 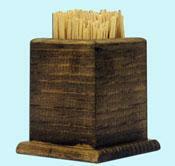 Available in cases of 50, a toothpick holder can be placed on each table for customer convenience. These wooden restaurant smallwares help to keep toothpicks contained and organized while conveniently available for customer use. Our Wall Mounted Carpet Sweeper Broom Holder, one of our restaurant smallwares, features a walnut finish. The wall mounted carpet sweeper broom holder is ideal for keeping areas clean and organized. Keep your restaurant clutter-free with this handy wall mounted broom holder. This oak Coat Tree is designed for use in several locations around your restaurant to keep patrons’ coats and jackets highly visible yet off the backs of chairs. This wooden coat tree stands 6 feet tall. Wooden coat trees come in a natural finish. 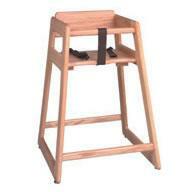 For customer convenience, add a wooden coat tree to your restaurant smallwares/supplies today. With this Lobster Rake, it’s easy to rake in the lobster of your choice and rake in profits. Lobster rake will make scooping up lobster quick and efficient. The lobster rake is also light-weight and has a long handle for reaching deep into a lobster tank. Add this lobster rake to your lobster tank supplies.